Firstly, would like to say thank you to one of my customers for sharing this review of our Tamanu Healing Balm. 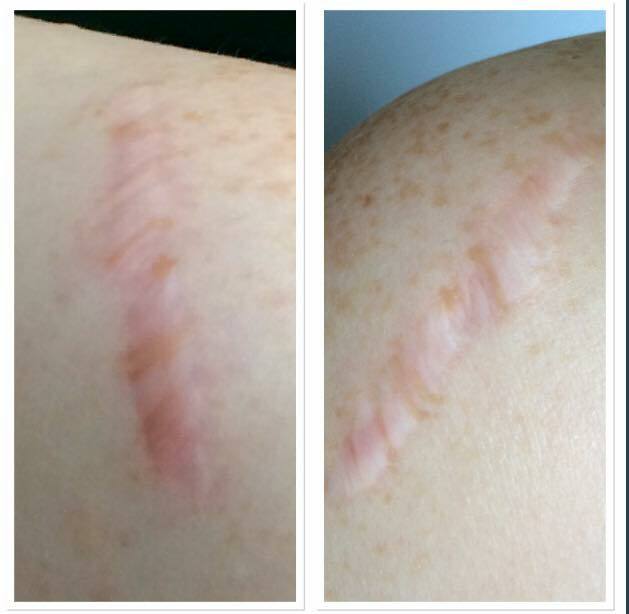 “I took a before and after of my shoulder scar, which was as a result of an operation I had to have 3yrs ago. It was always red and ‘aggressive’ looking… I hated wearing sleeveless tops as people always remarked on the scar. You can purchase our amazing balm here for just £32 for 50ml or try our trial size Tamanu Rescue 10ml for just £8. Categories: Bodycare, Skincare | Tags: natural scar remedy, post op scarring, Tamanu Healing Balm | Permalink.